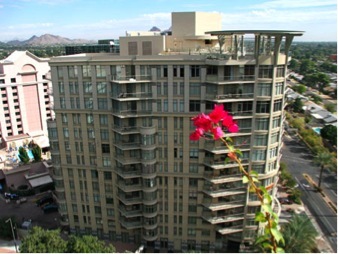 Esplanade Place is a Camelback Corridor Phoenix high rise condominium located at 2402 East Esplanade Lane Phoenix Arizona 85016. 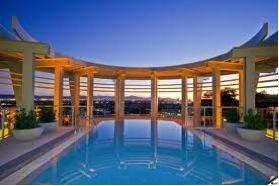 Amenities include: Roof Top Pool, Spa, Barbeque and Patio area, Concierge, Valet Parking, Business Center, Fitness Center, Secured Underground Parking, Private Storage Rooms. Esplanade Place is located minutes away from Sky Harbor International Airport and the major league sports facilities of the Arizona Diamondbacks and the Phoenix Suns.